A few weeks ago during a regular high roller event, a bunch of the world's most prolific players got into a debate in between hands. They were trying to find out who was the unluckiest player in the high buy-in fields. Stephen Chidwick was one of the first picks. Well-rounded in all types of games both live and online, Chidwick is arguably one of the most talented players from Europe. He has won over $10 million in live tournaments but it's almost unbelievable that a player of his caliber is yet to win a bracelet. While Chidwick may have been running worse than he deserves, he's doing more than fine at the inaugural US Poker Open. His skills met with a lucky charm in the Aria Resort and Casino and the 28-year-old seasoned pro has been dominating the series in a spectacular fashion. 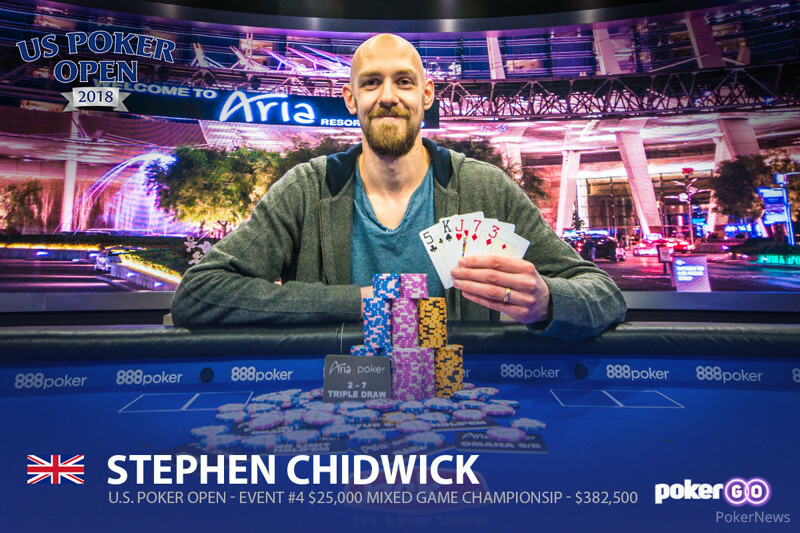 Chidwick reached a remarkable feat tonight, taking down the $25,000 Mixed Event for $382,500. A great achievement of its own, there's more to the story. Chidwick had to enter the tournament late because of a simple reason; he was busy winning the previous one, the $25,000 No Limit Hold'em. Chidwick has come out on top in two consecutive events, cashing for over $800,000 combined. It takes a tremendous amount of focus to play on the final table for such a huge amount of money, let alone doing it two days in a row. Sneak inside the 13-hour Day 1 of the Mixed Event and it becomes evident that it has been one big grind for Chidwick. "I'm just running on caffeine and adrenaline right now," he said after emerging victorious again. "I'm pretty happy how I played today." Chidwick outlasted a 45-entry field, an impressive turnout for a high buy-in Eight-Game tournament. "I really enjoyed the atmosphere, it was a very fun experience," he said. Both of his victorious runs saw Chidwick mount a come back from dust. It wasn't the case just for him but a characteristic for a grueling three-handed battle on the final table. The tournament was down to three players before the first break. Phil Hellmuth wasn't able to spin his way up, losing to Chris Vitch in a hand of Stud. Hellmuth got it in with a flush draw and overcards to Vitch's pair of eights but he bricked the remaining streets and walked away in sixth place. Hellmuth was disappointed to leave early. "I'm playing so good right now, it's a pleasure to be at this level," he said before complimenting Chris Vitch for his outstanding play on Day 1 where he "couldn't see him lose a pot". Isaac Haxton then eliminated Dan Shak in two hands of Razz and dispatched Benjamin Pollak in Stud Hi-Lo shortly thereafter. Haxton held the chip lead at that point with Vitch to his right and Chidwick to his left. The three-handed play was the finest stage of the tournament. All players were fighting in huge pots but there was no elimination for over three hours. Chips were flying to the middle mainly in Stud games but even the other games brought some very interesting collisions of some of the sharpest brains in the business. What they all had in common was that the short stack always ended up the beneficiary. The lead was swinging mainly between Vitch and Haxton but Chidwick wasn't far behind. 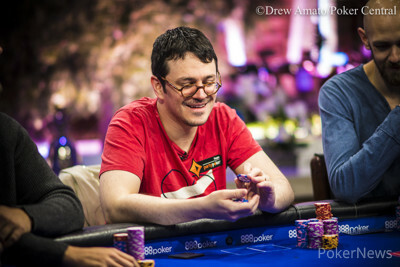 Vitch, renowned for his mixed games skills, may lack the No-Limit experience of his opponents but he played aggressively, trading a few big pots with Haxton. Then it looked that Chidwick would have to settle for the bronze after plummeting most of his stack in Limit Hold'em, running with kings into the trip tens of Vitch. Chidwick, however, bounced from fewer than three big bets in a brilliant fashion. He doubled twice and won two other significant pots to climb all the way to the top in the blink of an eye. The same story repeated, with Vitch playing the main character. He was downed to two big bets but doubled right away and soon worked his way up in Stud. Some orbits late, it was Haxton's turn to show his bouncebackability. Unfortunately for him, he wasn't meant to rebound from the nub and Chidwick finished him off in Stud Hi-lo, hitting a straight and a low. The heads-up started with Chidwick and Vitch virtually tied in chips. The swings from three-handed play carried into the heads-up match. Chidwick built a chip lead only to double his rival in a massive Pot-Limit Omaha hand that saw Vitch flop a set against a top pair and a flush draw. Vitch held but Chidwick immediately doubled back when he got it in with a superior flush draw that connected on the turn. Chidwick then finished the round of PLO with another flush-over-flush, taking a huge bite into Vitch's stack. Vitch was once again on the ropes, and while he doubled once, Chidwick finally tackled him in 2-7 Triple Draw. They were all-in after the second draw, both drawing for one card. Vitch was in better shape with a six the highest among his four cards while Chidwick drew with jack-high. 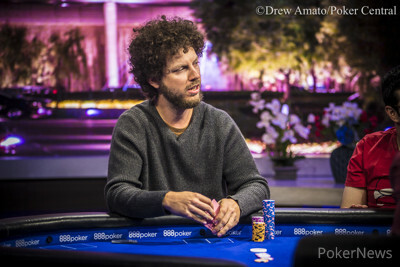 Chidwick picked up only a king but that was enough to scoop the final hand of the tournament as Vitch paired his six. "I think we really battled three-handed today. I think any of the three of us could win today," Vitch said. Chidwick was crowned champion once again and extended his lead for the US Poker Open Trophy. Vitch now sits in second place after collecting $247,500 today. Chris Vitch raised the button with and Stephen Chidwick defended . Chidwick discarded three on the first draw while Vitch took two. Chidwick improved to three wheel cards and Vitch now had . Chidwick checked to Vitch who bet again. Chidwick called and drew three to his seven, five, three, getting two jacks. Vitch changed one . They ended up all-in as Vitch slid in his remaining 270,000 which Chidwick called. Interestingly, Chidwick opted to change just one card, leaving a jack in his hand. Vitch changed one as well. Chidwick drew only a king but Vitch busted his hand with a pair of sixes and it was all over. Vitch finished in second place, good for a $247,500 payday. Chidwick has won back-to-back events at the US Poker Open, earning $382,500 today to add to his $374,000 he scooped yesterday when he topped the $25,000 NLH event. He's a huge leader in the leaderboard with over $800,000 in cashes. Chris Vitch opened and Stephen Chidwick three-bet, Vitch moved all in and Chidwick called to put the tourney on the line. Chidwick drew two and so did Vitch. Vitch drew one on the second draw and Chidwick drew two. Vitch had a ten-draw on the third draw and Chidwick had an eight. Vitch ended up making a and unfortunately for Chidwick, he paired on the final draw making a .
Chris Vitch raised it up to 225,000 with and Stephen Chidwick defended . Both players checked the flop to come to the turn reading . Chidwick hit a second nut-flush while Vitch had two lower club cards of his own. Chidwick potted it for 450,000 and Vitch called. The changed nothing and Chidwick fired a pot-sized bet again, making it 1,350,000. Vitch smelled problems but he figured out he couldn't let his flush go: "I can't imagine I'm supposed to fold," he said and then threw in the calling chips. Chidwick showed the goods to wound his opponent who dropped to 885,000. Chirs Vitch opened to 225,000 with the and Stephen Chidwick defended holding the . When the flop swept out, Chidwick checked and Vitch bet 400,000. Chidwick raised pot to 1,600,000 and Vitch quickly moved all in getting a snap call from Chidwick, putting himself at risk. Due to technical difficulties with the stream, we missed the runout but do know a diamond hit the turn and Chidwick scored the double to retake the lead. Stephen Chidwick limped in with and called after Chris Vitch potted with . The flop impressed both of the players and it didn't take them long to get the money in. Vitch continued for 400,000 and Chidwick raised-pot. Vitch shoved over the top for just a bit more and Chidwick called right away. Chidwick's flush draw was no longer meaningful after the hit the turn which gave Vitch a full house. Chidwick had only two outs to hope for, the remaining threes in the deck to outdraw Vitch for a bigger boat. The diamond stayed with Vitch who stacked a massive double. Stephen Chidwick completed and Chris Vitch defended his bring in. Chidwick check-called a bet on fourth and both checked fifth street. Chidwick fired a bet on sixth street that Vitch called. Both checked seventh street and Chidwick scooped the pot. Isaac Haxton was down to a nub and he completed with a queen out. Bring in Stephen Chidwick had three low cards and raised to put Haxton all-in. "I don't think I can fold for 30 more," Haxton said, calling. Haxton paired his eight on fourth street but Chidwick picked up a low draw and filled in right on fifth street. He also had a gutshot straight draw and hit it with a four on sixth street, ending Haxton's hopes for a comeback. Haxton collected $168,750 for his third place while Chidwick and Vitch take a short break before the heads-up play. Their stacks are virtually identical. Chris Vitch opened with the from the small blind and Isaac Haxton defended his big with the . The flop ran out and Vitch continued, getting a call from Haxton. The landed on the turn and Vitch fired again. Haxton called once more seeing the complete the board. Vitch bet the river and Haxton let it go.